Need A Bondsman in New Kent Henrico Regional East? If a loved one arrested in East New Kent County, you might need a bondsman help. Henderson Bail Bonding is a local family-owned company. We’ve been helping people for more than 18 years. We work hard to speed the release of your loved one. I am Kieth Henderson the owner. You might speak to myself or Horace a bail bondsman at our office. Henderson Bail Bonds is a local company. Henderson Bail Bonding knows the jail staff, courts, and procedures. 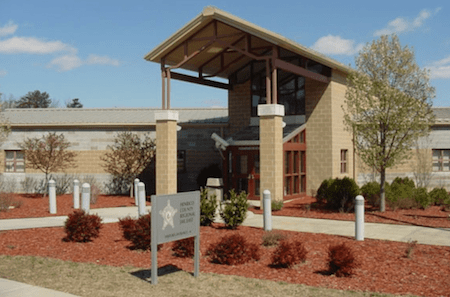 Can A Bondsman Quicken The Release Of Your child out of Henrico Jail? The right Bondsman can help get your loved one released from jail fast. If anyone in the system is not moving quickly to get your loved one released. We work with jail and court staff to get your loved one home. We’ll quickly find out if bail has been posted. We will find out the amount of the bond. We are a Property Bail Bonding Company. Real estate we own is pledged as collateral. This secures the release of your loved one. You call us. We contact the jail and the court. We expedite their release. After we find out the details and explain them to you. You can meet us at Henrico county magistrate’s office. And your loved one will be released. Parking is behind the magistrate’s office off of Prince Henry Drive that connects to Hungry Spring Rd and E Parham Rd. We make it as easy as possible for you. Within 24 hours of being arrested. Your loved one will be arraigned in court. When they are arranged bail will be set. We can find out exactly when your loved one has been arranged. And what is the bail amount? We accept cash, credit cards, and bank cards. They should be concerned about the outcome for yourself and your loved one. We at Henderson Bail Bonding are all those and more. Our repeat business proves our commitment to our clients.